When analyzing a plant project, time is a factor that does not get enough attention. I am very much a believer of the famous phrase “time is money,” and an extrusion plant is a great example of this concept. It is important to analyze all decisions, while factoring time into the equation. Sometimes prospects get tempted with competitor extruders because of a lower price. Example: If one manufacturer offers equipment at half the price, but their lead time is double, then it is not really cheaper. The true math is: – x (cheaper price) + 6 months cost of profits of a plant (longer lead time plus adjustments needed) + capital invested not producing. Designing your plant. Instead of hiring one engineer that knows a bit of everything, hire two of them: an extrusion expert engineer (Insta-Pro) and a local one. An engineering extrusion expert will know exactly what you need, saving you time. The local engineer won’t have to guess, and will be have a clear guide from Insta-Pro to design your plant in a timely manner. At Insta-Pro we have flexible engineering options for each client. Occasionally, in Latin America, budgets are not enough to acquire everything from Insta-Pro. In these situations, our clients sometimes decide that the core equipment (extruder, press, cooler, preconditioner, etc) will be from Insta-Pro (since that’s the heart of a plant) and the auxiliary will be acquired locally. 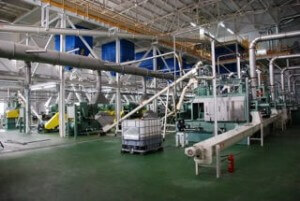 It is key to analyze how long it will take the local manufacturer to make the auxiliary equipment. Some plants have to wait months to start because the auxiliary equipment is not ready. It ends up being quite expensive to wait a couple of months for the auxiliary equipment to be ready. Or, what happens if that key auxiliary equipment fails during production? Basically, you have large capital invested in a product that is not producing. Be sure to make a detailed analysis that also factors in time for comparing machines, production time, parts maintenance and anticipated lifespan of operation. At Insta-Pro, we are very flexible in how we assist our clients. We can do the complete plant, only the core equipment or a service package for years to come. Reach out today to learn about how we can help your plant. ©2019 All Rights Reserved. Insta-Pro International.